The blog’s moving really slowly these days. In fact, I’d not blogged about anything for almost 2 weeks. Been kinda busy lately with quite a couple of things. First is of course to help Vonne and her family with their major move from Singapore to UK. That spanned over quite a number of days and it has been massive on many accounts. First is the number of things we’d needed to pack, which took us quite a while. Wouldn’t have been possible without the help of her good friends Linda and Cecilia. It is really through times when we are in need, that we see true friends indeed. Couldn’t have said it better. Then there is of course the emotional dimension of it. The initial stages were overwhelming with stress and anxiety if we could finish packing in time before the movers came and if there was enough cargo space to fit everything. And when everything’s finally loaded up onto the trucks, the feeling of the inevitable parting begins to hit hard. As the day draws nearer to the eventual departure, the sense of loss sets in. In fact, she and her family are leaving for UK today. I won’t be sending them off, for the sadness would have been too overwhelming. I’m not good at holding back emotions, and emotions it would seem too painful to bear. Its better off that way. But I’m going to miss Vonne and her family so much. Her lovely children Emily, Jasmine, James, Anabel and of course cute and chubby little Daniel. I pray that she and DQ would be blessed with a fresh start in UK. It would indeed be challenging for both of them. But there is also a promise of new opportunities and possibly new adventures for both of them and their family. It is not goodbye forever of course as we would definitely still be in touch. We’ll see her when we see her. I don’t know about you guys, but from where I live, no one could resist a good rendang. 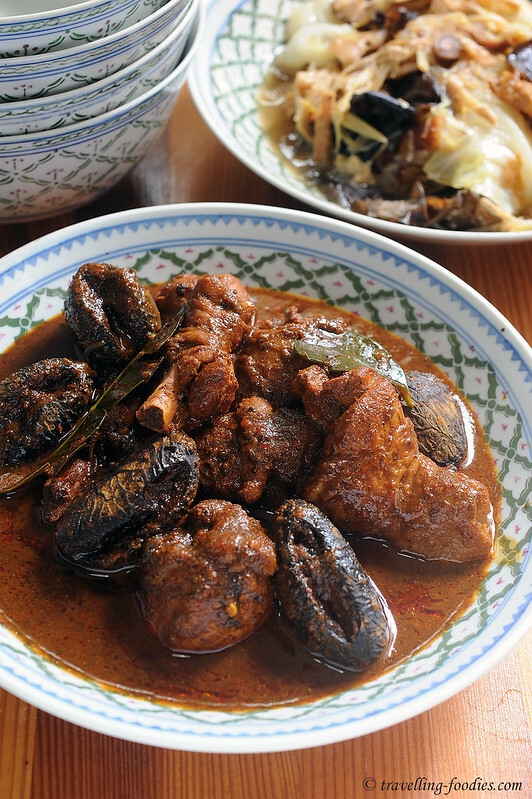 Thick slabs of meat which had been stewed in a rich and spicy coconut-based sauce over a prolonged period of time is simply to die for. 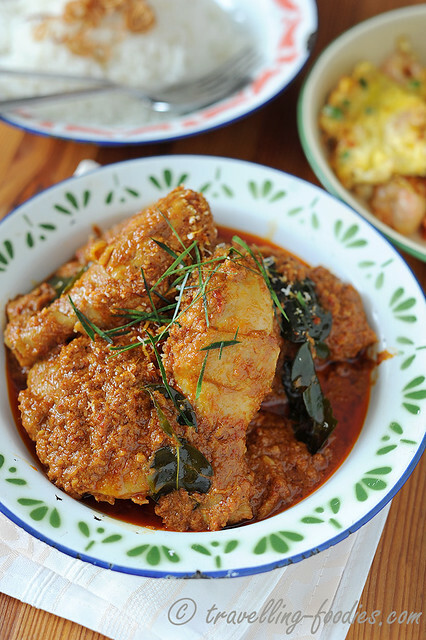 Rendang is the pride and joy of Indonesian cuisine from the Minangkabau people in Sumatra but owing to trade routes and migration patterns, it spread to other parts of Asia, most notably Malaysia and Singapore where it is widely enjoyed and savoured. 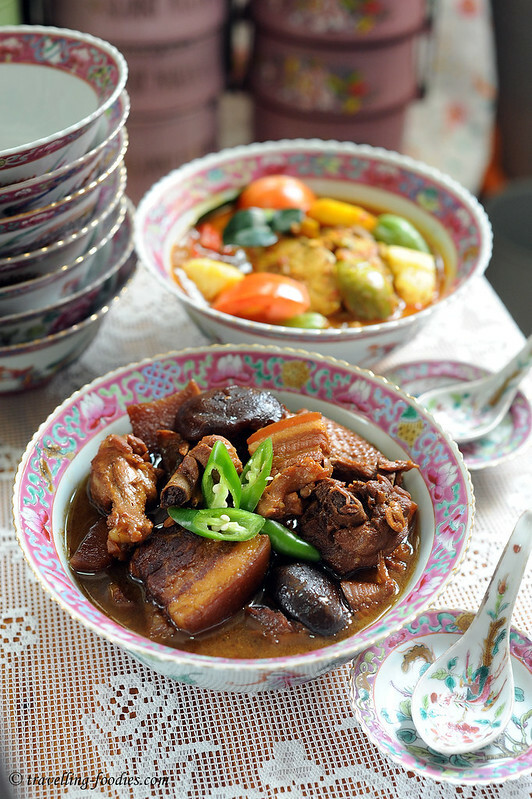 It has become much of a staple in Malay cuisine, served at festivity gatherings and wedding feasts. 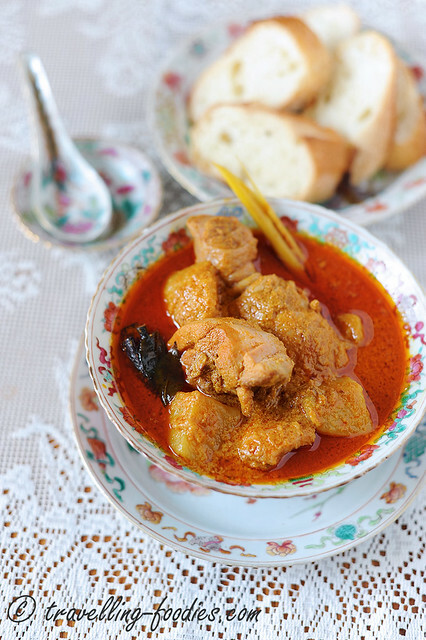 Just like many dishes from Malay cuisine, rendang has also found its way onto the dining tables of the Peranakan community. Ask any Baba if rendang is part of the standard laok embok embok, or what is commonly known as Peranakan cuisine, and one would immediately be met with a deep frown as if one has suggested the unthinkable. But ask further if he and his family enjoys rendang and cook it often, that stern look would quickly mellow and dissolve into a sheepish smile. 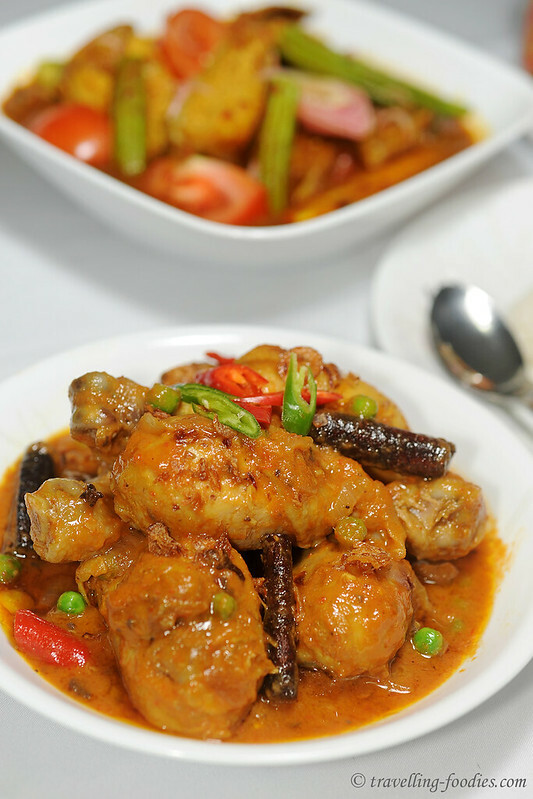 The ingredient of choice for rendang is beef, which is stewed over hours at length until the meat becomes so tender that its fibres could easily be pulled apart with the slightly nudge with the fork. Otherwise, mutton is also good or in this case, chicken! 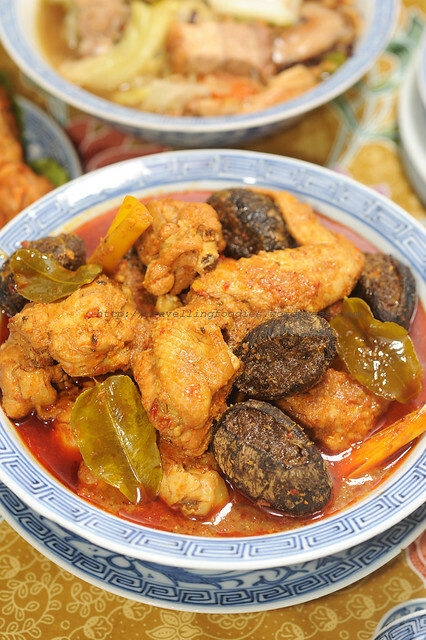 And that is precisely what I cooked this time, Rendang Ayam! 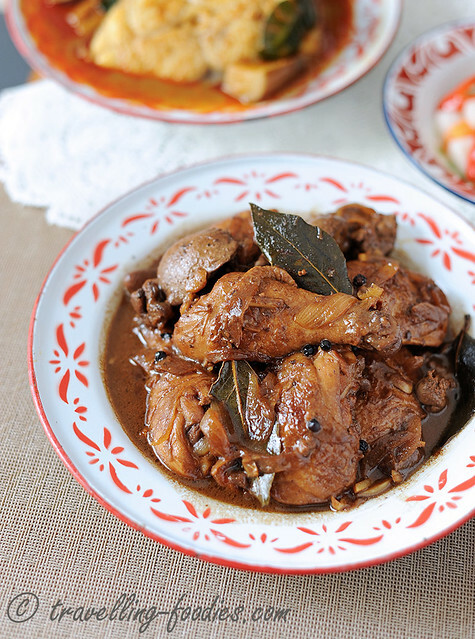 I begin this month’s exploration with Ayam Masak Merah, a purportedly popular dish throughout the Peninsula (judging by the number of times this dish has actually being cooked and blogged) which has its roots from the southern state. Not quite a fan of tomato ketchup, I was rather curious about how it would taste when I saw it being featured in Wendyinkk’s blog last August. The combination of a simple rempah, together with coconut milk and a generous dousing of tomato ketchup… very curious indeed.